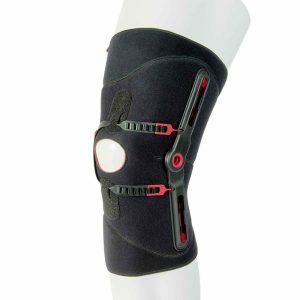 It can be worn discreetly under clothing and is universal for side – 1 brace fits both left & right leg. It also features a quick dry, breathable fabric. 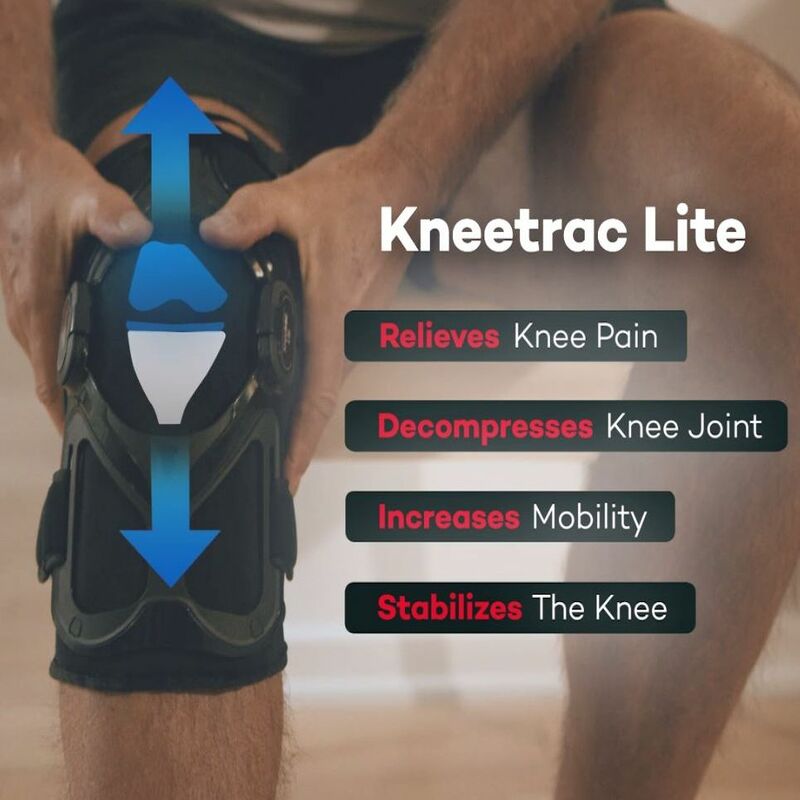 A great solution for those suffering knee pain and difficulty walking from moderate or severe levels of osteoarthritis requiring loading reduction to the lateral and medial or sides of the knee. 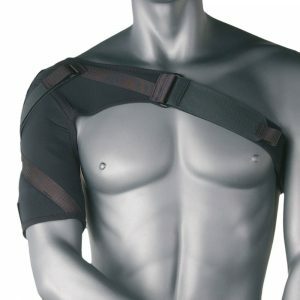 It helps stabilize and reduces joint pressure, offering drug free pain relief. 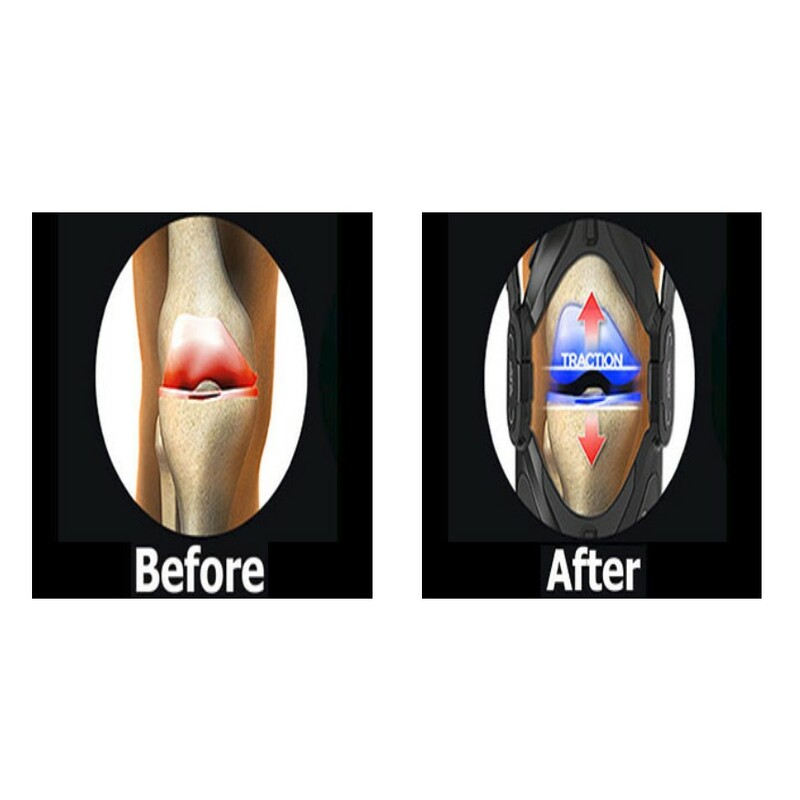 Knee arthritis reduces the cartilage that cushions the thigh and leg bone which form the knee joint. As the joint space reduces, the bones absorb more pressure and become irritated and inflamed, which causes pain and restricted motion. 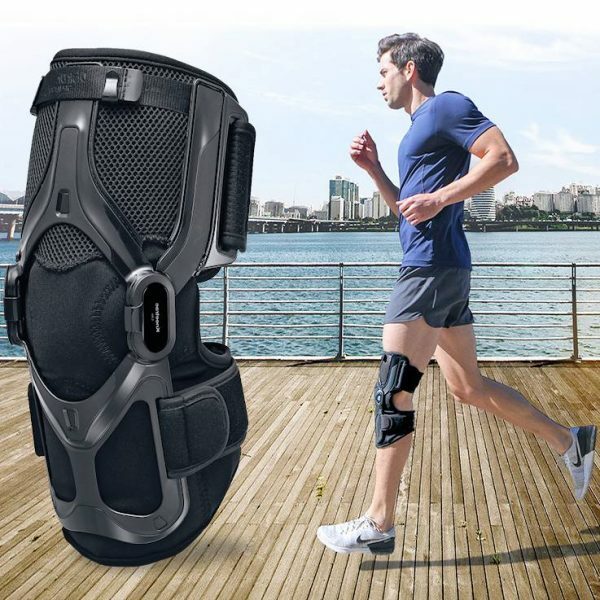 Using the arthritis knee brace with traction, the pressure is removed from the knee joint reducing friction and pressure as weight is removed and displaced. There is increased joint spacing and mobility, while decreasing inflammation and pain. Before: Arthritis is seen with cartilage destruction. 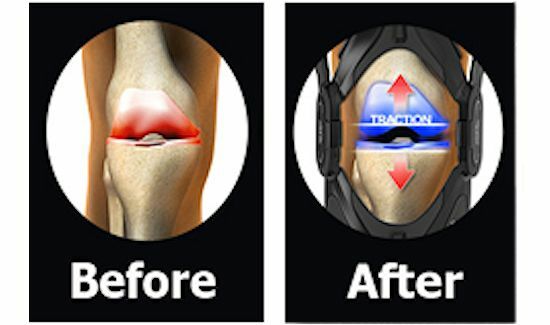 Cartilage is the natural cushion between the upper and lower leg. When this is damaged, the bones that make up the knee joint rub closely against each other with greater force which may result in pain, swelling and decreased motion. 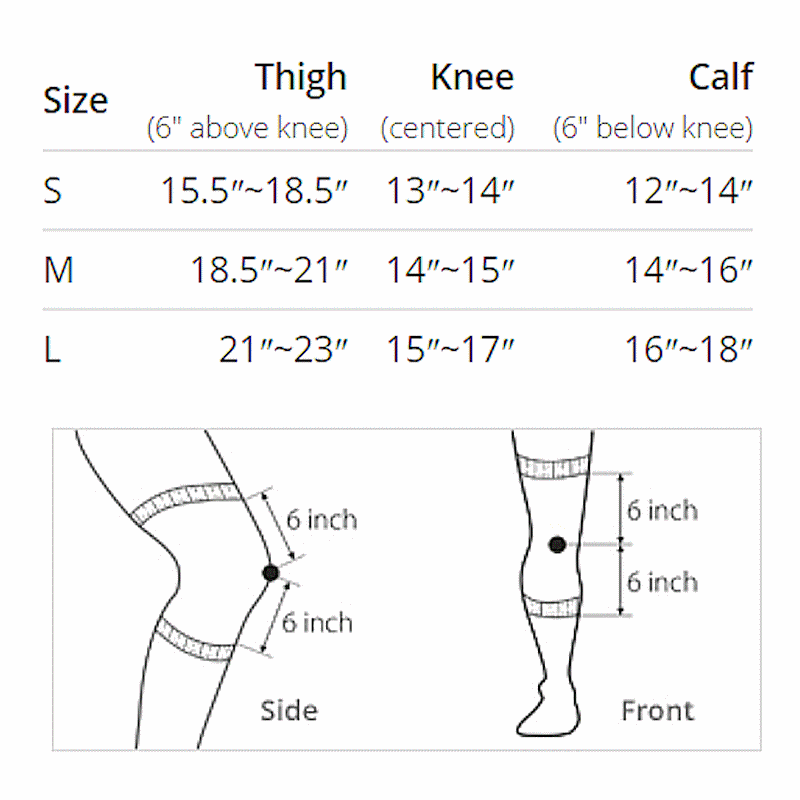 After: The weight is displaced away from the affected knee. 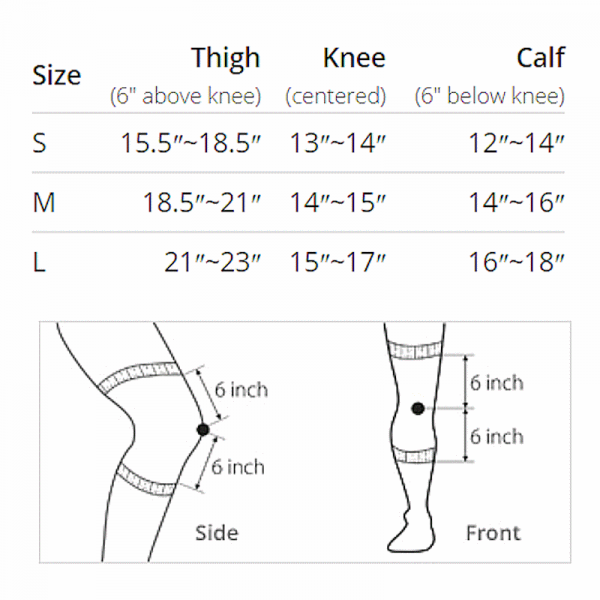 There is a reduction in the contact between the bones of the knee joint. This can relieve pain, reduce swelling and increase mobility so you can be active. 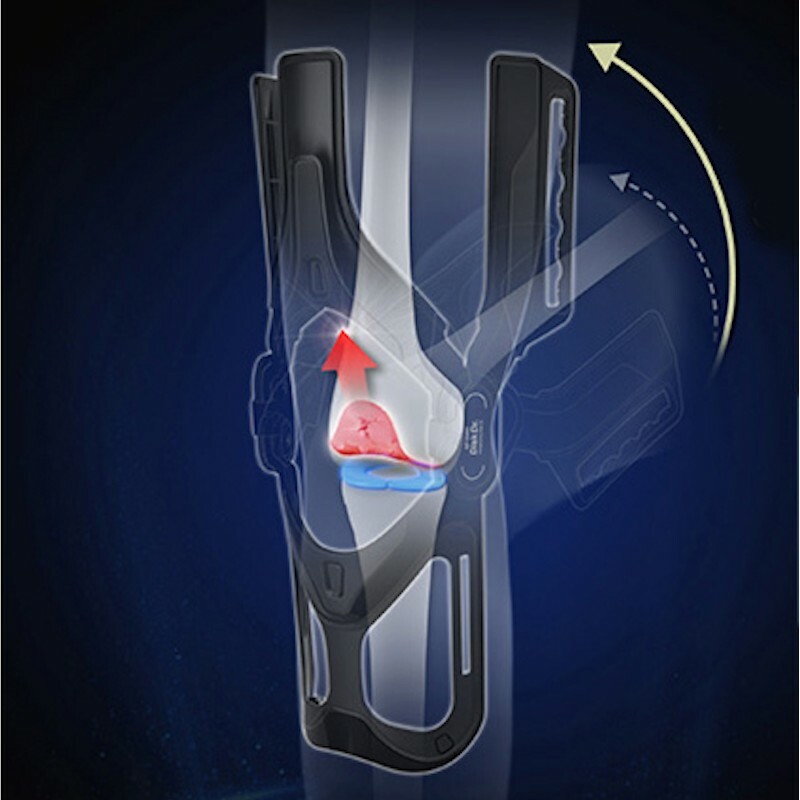 The special hinge system gently pulls in opposite directions, decompresses and unloads the knee joint. This reduction of pressure supports and stabilizes the knee, eases pain and assists in active rehabilitation. The traction system is the uses an advanced frame and hinge design. 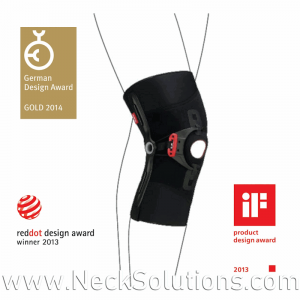 This technology offers decompression to the knee by restoring the natural joint space. 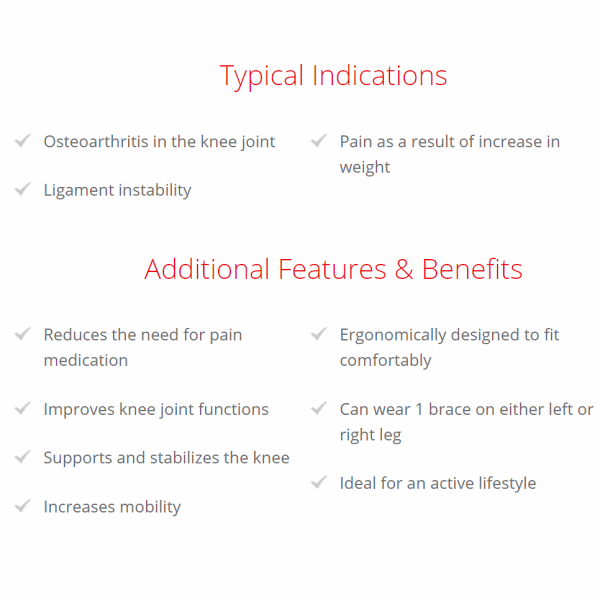 Osteoarthritis is a breakdown and inflammation of the cartilage between the knee joint. 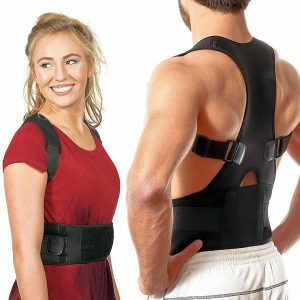 This increases pain from weight bearing or compression. 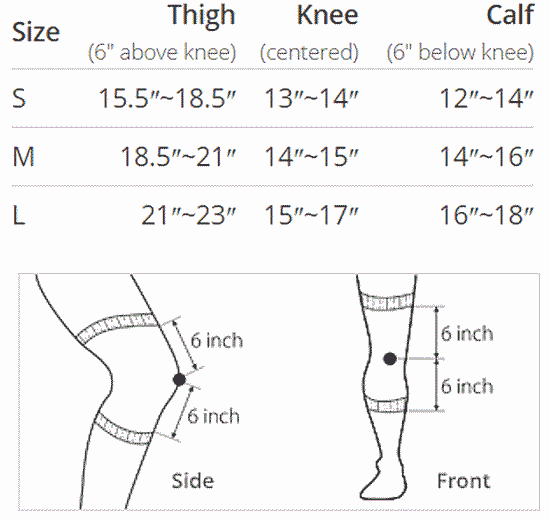 However, a sudden increase in weight bearing can strain the knee or cause damage resulting in painful inflammation. The special hinge forms a lever that displaces body weight compression away from knee. It becomes active when the leg goes from being bent to the extended or straight positions. The strategic placement of the hinge is close to the patella instead of the joint center when viewing from the side. This produces a fulcrum action away from the joint. As the leg is extended, the unique shape of the hinge gently pulls in opposite directions, which unloads the joint providing direct support. 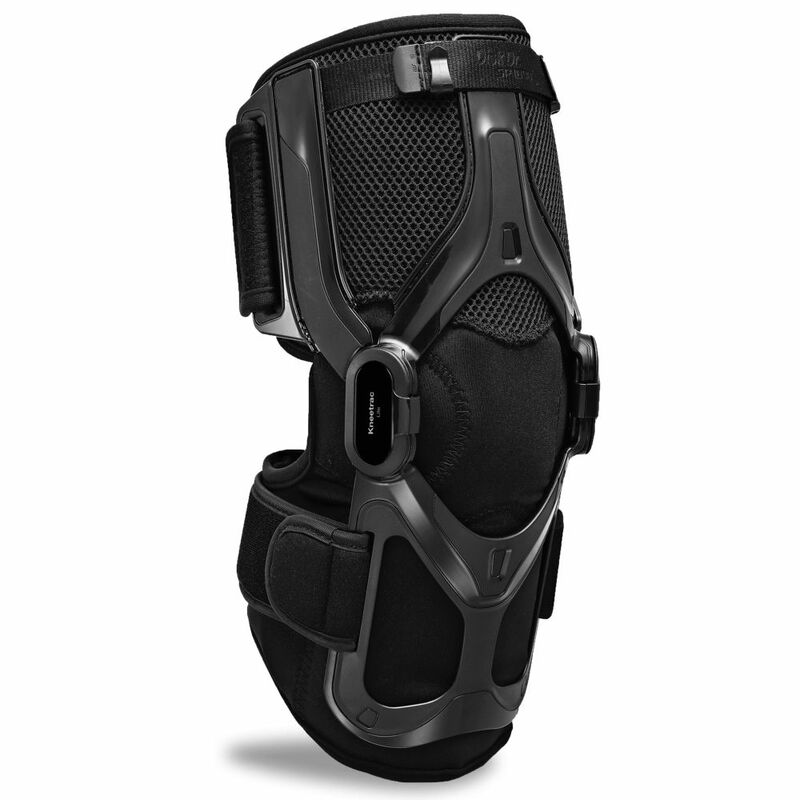 The arthritis knee brace uses a flexible, lightweight frame that will contour to the shape of your leg. It is easy to wear with durable materials that can be easily worn under clothing. The breathable, air mesh fabric helps to wick away sweat and promote quick evaporation. 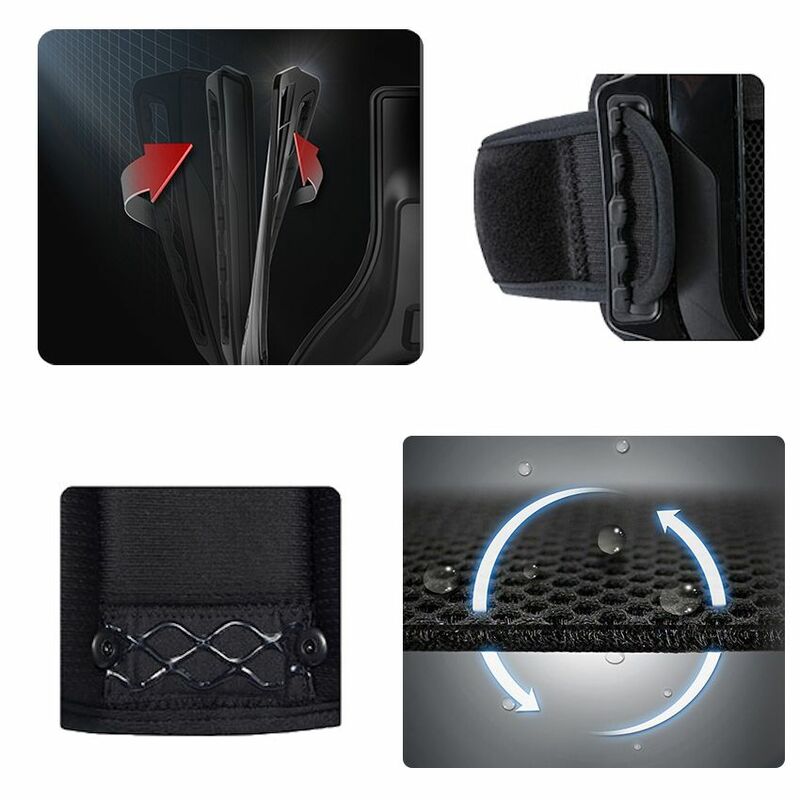 There is a padded shin guard that uses an inner silicone lining which prevents slippage. 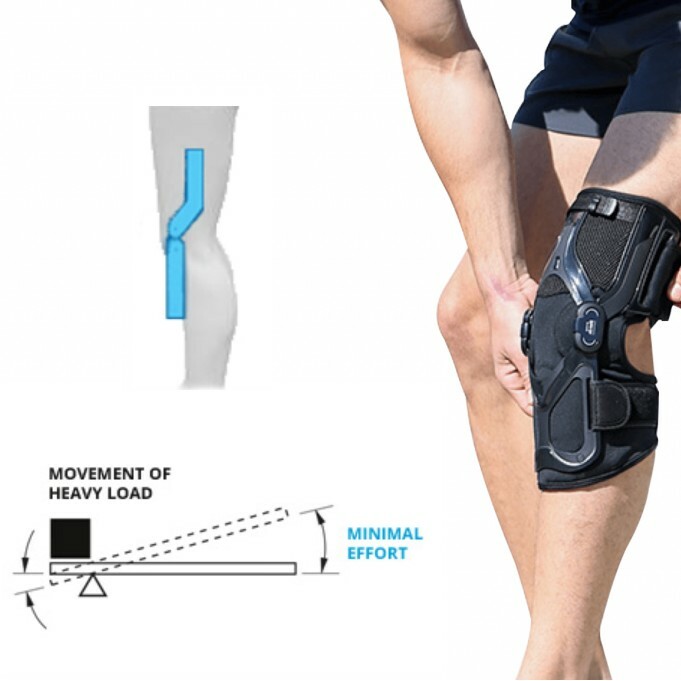 This is the KneeTrac Lite that replaces the more expensive and cumbersome model. 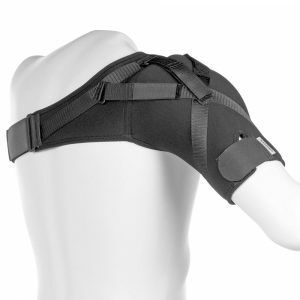 It’s improved wearability and ease of use makes it a better brace at a better price. 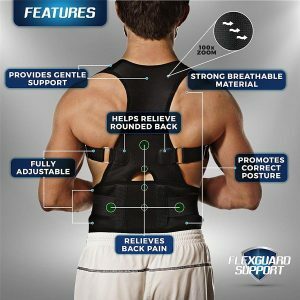 With free shipping and a 60 day money back guarantee, this is a brace with confidence, good patient compliance, and results.